Leisure activities on the water have always been and remain not only a great opportunity to receive considerable positive emotions, but also improve health. One of the clearest water sports, enjoying permanent popularity in many countries, is rowing. Such popularity is due to a number of rowing obvious facts. Firstly, rowing has no age restriction. Young people and those whose temples have already touched with gray, can easily go down the river. Secondly, rowing requires little initial training. Beginning tourists need to choose the route, is entirely consistent with his skills. Charyn – will appeal to those who enjoy a leisurely stroll through the canyon. 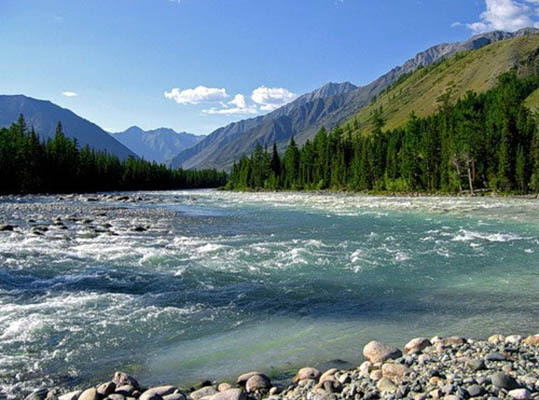 Each of these and many other Kazakh waterways ready to surprise even those travelers who like to rest to the maximum. Before you go on the chosen route, you need to prepare equipment. The first thing you need to buy or rent, this water vessel. Tourists should know that the chosen route requires at least a careful choice.The slightest discrepancy can spoil your vacation, or cause a state of emergency. Years of experience shows that the most popular ships, designed for two or three people. These small and easy going swimming facilities are great even for beginners. With these boats, you can easily pass on the water surface to forty kilometers. Another nice addition of these boats will be their load capacity. Practical experience shows that the boat can carry up to ten days necessary cargo for your trip. Capacity of swimming means, characterized by an increased maneuverability and stability, ranging from two to eight people. If your team is planning to challenge this element, it is necessary to choose the sport catamarans model. Also sports model catamaran can be used for the main insurance groups, sent by a difficult route. Variety of water rodeo – the most efficient of all types of aquatic acrobatics. Here the athlete intentionally directs the swimming facilities in the most lively part of the river, to show different figures. Fans of all well-known classics never forget makeshift rafts. Similar swimming facilities, includes a simple cover made ​​of wood, is quite popular among fans of recreation. A helmet protects your head from possible injury. Sleeping bag and so on. 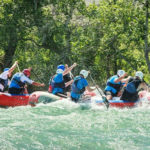 Today, rafting has gone beyond the classic sport, becoming a way and style of life for many people. Water activities, implying overcome the water element, using the large boats, catamarans or rafts, requires human willpower and the desire to constantly move forward. 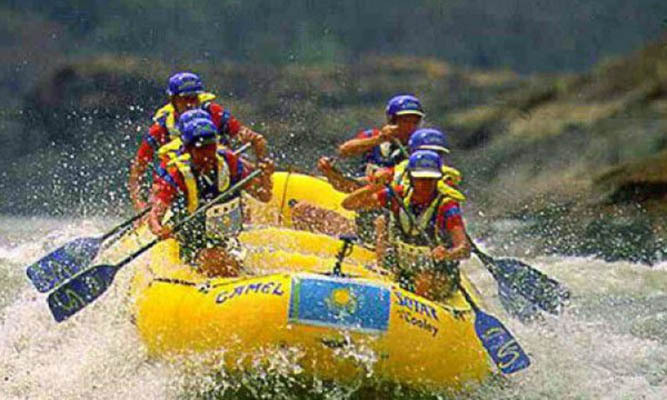 Do not forget that rafting really helps to get close with your friends. In any team, the size of which may vary from six to twelve people, should always be a team spirit. Only in this case, even the most difficult mountain rapids and river bends can not break the will to win. 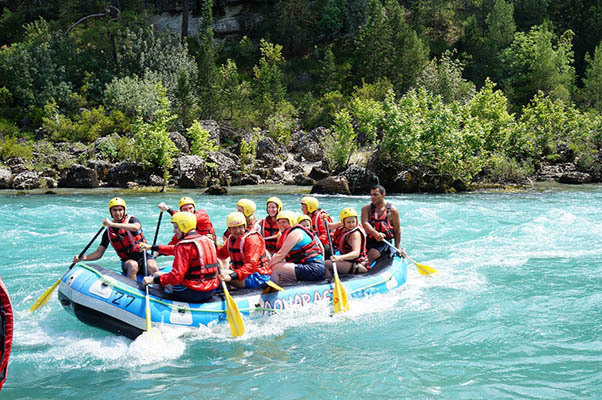 Today rafting ceased to be monopolized by the rich or too desperate people. A large number of various routes of different boats and equipment allows everyone to choose one that reflects its financial ability and desire to overcome their fear. If you are ready, feel free to go to Kazakhstan, where dozens of different routes open to you. Numerous tourist agencies located in Kazakhstan have a unique opportunity to find a common language with any tourist. A large variety of water routes allows you to find the best option for everyone. 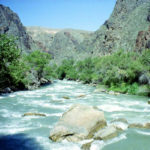 Nature has generously endowed Kazakhstan – most of all rivers is ideal for various types of rafting. Large enough depth and length allows travel companies to build a route of any complexity. 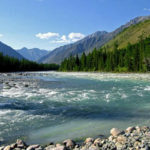 Do not forget about the crystal purity of the Kazakh rivers, allowing fans a leisurely stroll to consider everything in detail. 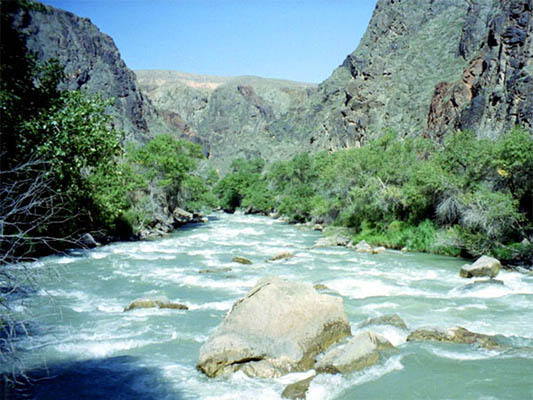 Drums, rollers, or plum – parts of the river with an unnatural flow of water. This site can not only stop, but to turn the raft with its passengers. And a list of all these obstacles, you can continue a very long time. The main thing that every tourist is still carefully studied before will sit in a boat or raft. For added convenience, the International Federation developed universal classification system turbulent rivers. I use this memo, anyone can immediately uzyat what awaits him at every section of the river. Each section of the river was a category of №1 (minimum complexity of the site) to №6 (the maximum complexity of the site). According to the rules, newcomers do not have the right to choose the route, the complexity of which is greater than the third category of complexity. It should be remembered that during the passage of the routes with a relatively small category of difficulty may arise abnormal situations, but they will end in the worst case, an increased release of adrenaline in the blood. If you are a staunch supporter of really extreme relaxation, then you are routes developed, the complexity of which exceeds the fourth or fifth level. Before leaving for a trip, tourists are required to attend the necessary instructions. The specialist has the right to release the group, without making her knowledge. 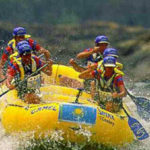 As a rule, rafting tours chosen by people who do not have enough practical training. In this case, in the boat with them is an experienced instructor who monitors and controls. 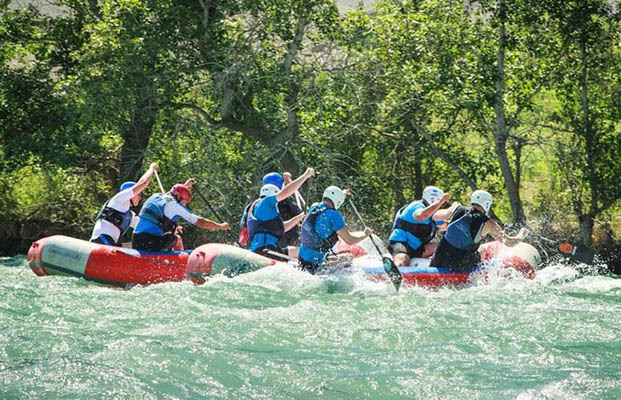 Under current rules in Kazakhstan, any commercial white-water rafting involves the presence of an instructor. No one can guarantee that even in the most peaceful area of the river will not solve the nature show your temper. In this situation, the expert will be able to give the necessary orders that can save lives and health of the team. 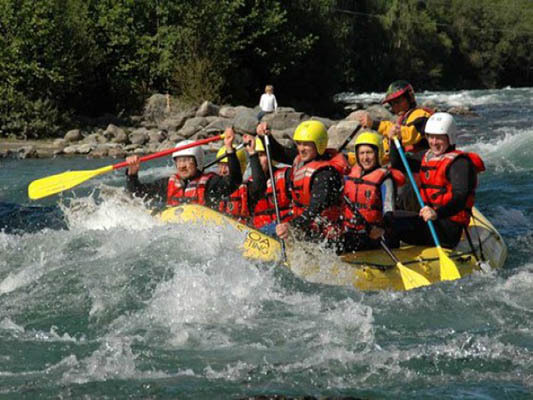 Rafting – the modern way to have a good rest on nature in good company. 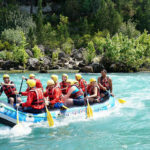 Kazakh travel agencies are ready to assist all interested in selecting a suitable tour.Regardless of your experience with turbulent rivers, our experienced instructors will always help you.